Delivery in approx:	If you order by noon your photo blocks can be collected from store in the afternoon! The same day service includes 6x4", 8x6" and 10x8" photoblocks, orders shipped to home take approximately 7 days. Personalise a photo block for a memory that stands out! Want a photo that stands out more? Create a personalised photo block and we can literally make that happen whether it is for on your desk or on the wall. Our Photo Blocks are free standing Medium density fiberboard (MDF) wooden blocks and you have a choice of white or black edges. If you order by noon your photo blocks can be collected from store in the afternoon! The same day service includes 6x4", 8x6" and 10x8" photoblocks, orders shipped to home take approximately 7 days. Delivery of this product in approx:	If you order by noon your photo blocks can be collected from store in the afternoon! 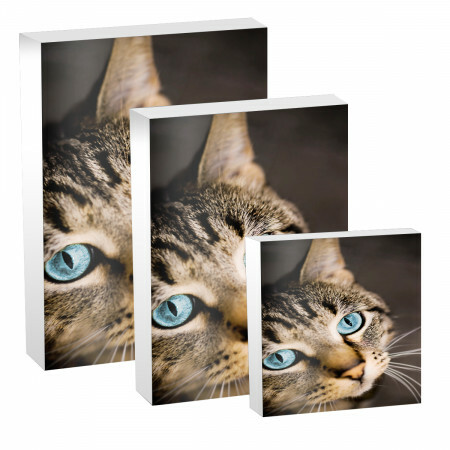 The same day service includes 6x4", 8x6" and 10x8" photoblocks, orders shipped to home take approximately 7 days.